Greek Life: Helpful or Harmful? With college students going back to school this week and next, many new freshman or transfer students are probably considering joining Greek Life on campus. Most schools have some sort of sorority/fraternity groups, with objectives being to provide an outlet for new students to get to know each other, form group bonds, and to give back to the community, to name a few. Over the last few years, some dangerous and sometimes fatal “hazing” practices by fraternities and sororities have come to light, and many have begun to pose the question: are these organizations as beneficial as they seem? Some groups suggest that affiliation with a Greek organization leads to higher rates of success later in life. 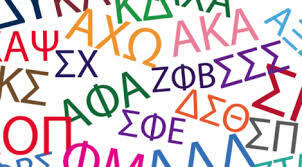 An article by USA Today stated that “85% of Fortune 500 executives were part of Greek life… And college graduation rates are 20% higher among Greeks than non-Greeks.” Psychologically speaking, this can be true. Feeling supported by like-minded individuals definitely contributes to better mental health and in turn, higher likelihood to succeed in life. Being a part of a Greek organization also connects you to generations of alumni with the same affiliation, which is certainly a plus when searching for jobs and making career connections. Sororities and fraternities also have a rich history in our country, the first being founded in 1831. Having a connection to such a renowned historical tradition is very important for some, especially “legacy” families, students who’s mother, grandmother, and so on were members of the same sorority. These organizations also undoubtedly benefit many charities. Each year most groups organize a fundraising event to benefit the charity affiliated with their organization. For example, Phi Mu at the University of Georgia raised $143,942 this year for the UGA Miracle program supporting Children’s Healthcare of Atlanta. Unfortunately, there have been a number of events giving sororities and fraternities a bad and scary reputation. There is always the stigma that Greek groups are associated with partying, drinking and hazing. In some cases, the hazing of potential members has gone way too far. Over the last few years there have been some highly publicized cases of deaths by hazing from groups around the country. The Washington Times reported that since 2005, more than 60 people have died due to fraternity incidents. Recently in California, a family sued after their 19-year old from California State University Northridge died after being forced to hike 18 miles with his fellow Pi Kappa Phi pledges. The Clemson University community was shocked by the death of Tucker Hipps, a pledge of the Sigma Phi Epsilon fraternity, after reportedly being killed in a fight with his fraternity brothers over breakfast food. Hipps’ parents are filing a $25 million wrongful death lawsuit against the Sig Ep brothers. Reports of alcohol abuse, sexual assault, and flagrant racism also have been widely publicized over the last few years. Although many of these violent reports are mostly associated with fraternities, there have been a number of lawsuits against sororities for dangerous hazing practices as well. A student at Rutgers University pressed charges against her Sigma Gamma Rho sisters after being beaten with paddles and sent to the hospital. In 2002, two girls pledging Alpha Kappa Alpha died after being forced to walk backwards into the ocean and drowning. Mostly, reports against sororities tend to be within the realm of humiliation, which also shouldn’t be ignored. Reports like this are shocking and make us think twice about the Greek organizations we hold highly in respect. Of course, these incidents are based on individual circumstances, and cannot be relegated to a group as a whole, but are a cause for concern and caution when considering Greek Life. The bottom line for students is, if something makes you uncomfortable, don’t feel like you have to do it to be accepted by your peers. Report any behavior that places someone’s life in danger. Watch out for your friends. Stand up for yourself and what you believe in, because that defines your identity, which is what college is mostly about.